Is it time to upgrade your workhorse? 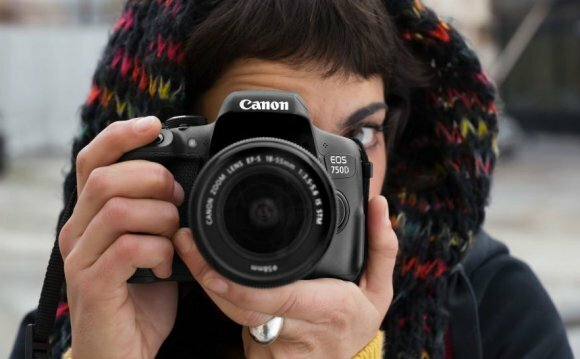 Maintain your competitive edge: The latest top-end DSLRs offer better image quality than ever. If you are a seasoned wedding professional photographer, you understand that in this era of fast-changing (and improving) technology, the best camera a couple of years ago may not be able to deliver the combination of image quality and usability that will allow you to keep up with or ahead of the competition. Besides, if you've shot over 100, 000 pictures with it, your workhorse camera may be nearing the end of its lifespan. You owe it to yourself to consider upgrading. Price. Expect to pay around $1, 750-$3, 500 for a new primary camera, but be prepared to double that if you want to go for the flagship model. Dynamic Range. When photographing a bride and groom you need to capture everything from the fine detail of her white dress to the subtle shadows of his black tux. The camera with the widest dynamic range, and the highlight and shadow sliders in post processing of RAW images, are your best friends. Overall Image Quality. This is, of course, most important when marketing your keepsake large prints. You will want the lowest noise at the highest ISO option available. This makes full-frame DSLRs pretty much a requirement. User interface. This is less of an important feature because with experience you can get used to any control layout, and at this level, you can customize your camera to fit your preferences. That said, moving up to the latest version of the camera and brand you already have reduces the learning curve, and many photographers find that to be a big benefit. Durability. You want a well-made camera with a well-constructed body and a shutter that is rated for hundreds of thousands of clicks because you'll be taking a lot of pictures. System. Canon and Nikon have the most extensive lens, flash, and accessory systems geared for professionals, but they've got company. Pentax's new K-1 represents that brand's first foray into full-frame DSLR photography, and thanks to Pentax's extensive range of full-frame lenses, it becomes an instant contender. Sony is focusing its efforts on mirrorless interchangeable lens cameras with high-resolution viewfinders, and is gaining new fans in the wedding photography field as it introduces new flashes and lenses. I've also included a lower-cost back-up body for the Canon and Nikon systems, because if there's one thing every professional photographer should have, it's a Department of Redundancy Department. The new Canon EOS 1DX Mark II, introduced shortly before this writing, has not yet been tested but it is expected to be a beast in low lighting. It offers lightning-fast processing time (14fps in RAW mode for up to 170 consecutive images), a new 22MP full-frame sensor, and a shutter that is rated to last a remarkable 400, 000 clicks. The camera is arguably Canon's most rugged and reliable AF model, and if you are called upon to shoot video, it can capture 4K, making it a versatile tool that can easily handle the demands of wedding photography. The Canon 6D offers outstanding dynamic range with over 12 stops, outstanding color depth (23.8 bits), high-quality construction but not as durable as its pricier siblings, although the positive way of looking at that spec is that it is lighter, which could make a difference during a long wedding assignment. Its low-light performance is outstanding, and only a shade less than that of the 5Ds. Shutter is tested to last through 100, 000 cycles, the camera is dust- and weather-resistant and is the only full-frame Canon DSLR with built-in Wi-Fi. If you're just starting out or need a reliable, inexpensive back-up body, this is it.